His artwork can be seen in books, in museum collections, at the U.S. House of Representatives, and in the National Baseball Hall of Fame. Meet Kadir Nelson, acclaimed artist, illustrator, and author, and learn about his life and work during a special appearance and book signing at the Pleasantville Branch of the Atlantic County Library System on Monday, February 24, 2014, at 6:00 pm. Mr. Nelson’s illustrated works will be featured in a special display in the lobby of the Pleasantville Branch throughout the month of February. Many of the display books bear prestigious stickers signifying that those titles were awarded Caldecott and Coretta Scott King honors for excellence in the field of children’s literature. Be sure to check our catalog for Mr. Nelson books, including Baby Bear, published January 7, 2014. 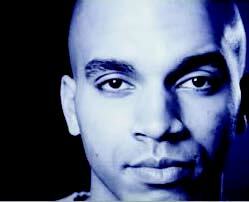 To learn more about Kadir Nelson, visit his website. The Mental Health Association in Atlantic County honored two branches of the Atlantic County Library System at the Community Appreciation Ceremony on February 5, 2014. Representatives from the branches, Brigantine Branch Manager Elizabeth Bliss and Ventnor Senior Library Assistant Kathleen Tabasso, accepted the certificates of appreciation. The branches were recognized for their support of New Jersey Hope and Healing and assisting it in its efforts to reach persons impacted by Hurricane Sandy. "Having been a victim of Hurricane Sandy and establishing a relationship with Hope and Healing through their presence in our library, I found the ceremony very moving. I was very proud to represent the Ventnor Library and share the experience with Beth Bliss from Brigantine who had forged a very close connection with Hope and Healing." New Jersey Hope and Healing was formed to provide mental health and emotional support for victims in the aftermath of Hurricane Sandy. The library branches provided space to New Jersey Hope and Healing which allowed the organization to dispense information and counsel residents right in their communities. Big Library Read: "Keys to the Kitchen"
enjoying one book from February 17th – March 5th! Once again, the Atlantic County Library System will be participating in the Big Library Read program. 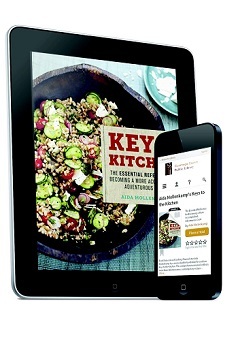 Card holders will be able to borrow and enjoy the cooking eBook "Keys to the Kitchen" by Food Network and Cooking Channel star Aida Mollenkamp, starting February 17th and concluding the morning of March 5th. "This comprehensive manual collects more than 300 innovative, contemporary recipes as well as color photographs, plenty of informative illustrations, a substantial technique primer, and helpful how-to information on subjects as wide-ranging as rust removal, throwing a cocktail party, and knife skills." Big Library Read is an international program that gives libraries and library patrons unlimited simultaneous access to a popular title during the program, creating a virtual, global book club. Interested patrons will be able borrow "Keys to the Kitchen" using a valid library card, and enjoy on all major computers and devices, including iPhone®, iPad®, Nook®, Android™ phones and tablets, and Kindle® without worrying about wait lists or holds. Patrons will be able to select a lending period of one, two, or three weeks, which begins at the date of checkout. Titles will automatically expire at the end of the lending period. There are no late fees! from 8:00 PM – 9:00 PM U.S. Eastern Time. Read more about Big Library Read: "Keys to the Kitchen"
On February 1st, 71 years of combined experience and dedication retired from the Atlantic County Library System. We say goodbye to Edwina Wilinski and Brian Tomlinson. When Edwina Wilinski got her first job after graduating from Rutgers with a MLS degree in 1976 it was the start of a long and mobile career at the Atlantic County Library System. At that time, there was only one branch, located in Mays Landing in a garage behind the Surrogate’s Office. For the last three and a half years now, Edwina has served as the Assistant Director; a position she earned after her years as a Children’s Librarian in Mays Landing, Principal Librarian in Ventnor, Principal Librarian in Reference Services and Chief Librarian, in charge of personnel. Everyone who works here has had contact with Edwina for one thing or another. With her professionalism and good nature, she has helped, advised and influenced us all and has woven her kindness and knowledge into the fabric of our library system. Far from doing nothing, Edwina looks forward to traveling, going to Disney World as much as possible and spending time with her family, especially all those nieces and nephews she takes so much joy in. When Brian Tomlinson started his job in 1980, the library had been relocated to the Starn’s Shoprite in Pleasantville. Brian began as an accountant, became the Business Manager and is now retiring as Fiscal Officer. We only wish that we could hook up his brain to a computer and download the gigabytes of information he has stored in there. While he looks forward to not having to get up early every morning and to being able to ride his bike on the boardwalk more, Brian is not taking himself out of the workforce completely. He plans on continuing some work in accounting and in e-Rate consulting but now, at least, he’ll get to make his own hours. The 56th annual Grammy Awards provided entertainment for fans of all music genres and the Atlantic County Library System does the same. Never heard of Daft Punk? Love that new Sara Bareilles song “Brave?” Always wanted to add some P!nk to your music collection? 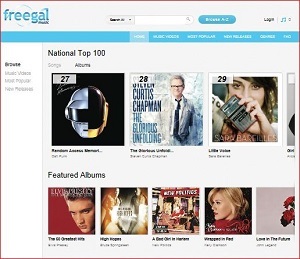 Go to Freegal and use your 3 free weekly downloads to experience the many different flavors of the Grammys. Download the music you already enjoy or use the opportunity to try out something new.